Here at Katz's we take pride in the quality of the meat used for each and every sandwich. If it’s not perfect and prepared just the way you ordered it, we won’t send it out. The sandwich at your table is the best sandwich you could have ordered. Soup is the perfect complement to a great sandwich. Since we are located in a coffee house, we serve our soup in a coffee cup. ​Rich, hearty, please consult the menu board for our soup of the day. ​Fran & Steve Katz, a retired Dental Hygienist and Dentist, originally from New York, have been in the food business for many years. 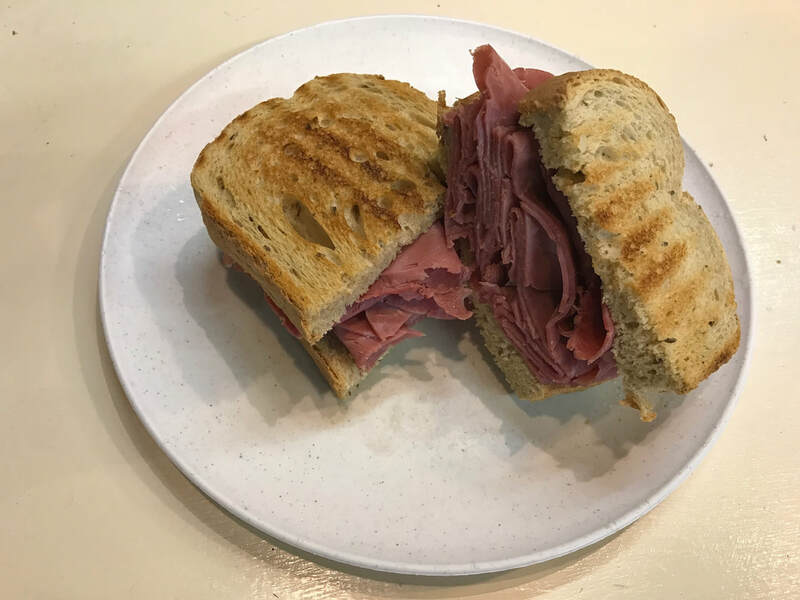 Their son, Michael Katz,CEC,CFSM,CHE has been Head Chef at several fine clubs, restaurants and country clubs is an Assistant Professor at the Culinary Institute of America, and is a consultant at Katz's Deli. Fran & Steve have run coffee shop/cafes in Florida and for the last 2 years Riverview Beanery in McCaysville, and now have located in the former Hyde House, across from IGA.